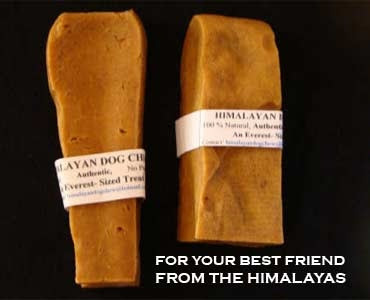 It turns out that chugo (also known as chhurpi) is re-marketed in the West as - lo and behold - "Himalayan Dog Chew", and promoted as "an authentic type of cheese eaten by the people of the Himalayas." 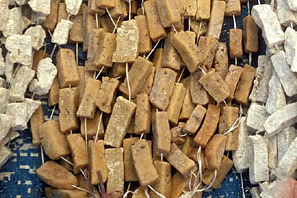 According to the advertising pitch, when I chew on chugo (or is it chew-go?) I am indulging in "hours of high quality eating entertainment". Woof, woof! Hahahha...didn't know that.Now I have at least some gifts to send to US friends at minimum cost but priceless in US.Funny!! !